Xaxis, the world’s largest programmatic media and audience platform, announced today the launch of native ad specialist plista in the U.S. and Canada markets. plista, which is part of the Xaxis portfolio, is the industry’s most comprehensive programmatic platform for native ads and the first to provide a single source solution for buying in-feed, outstream video, recommendation widgets and in-ad formats across both desktop and mobile inventory. With the U.S. and Canada debut, plista increases its global presence to 13 markets including existing operations in the UK, Germany, China, Australia and the Netherlands. plista will provide U.S. advertisers with direct, one-stop access to more native formats than any other native provider. Additionally, through plista, advertisers can programmatically buy native ads in full coordination with their existing digital spend using audience data from Turbine, Xaxis’ industry-leading data management platform (DMP). 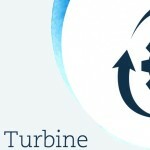 Applying Turbine data to native formats offers significant edge in delivering native content that reflects audiences’ interests and intents as compared to using contextual data alone. In addition to bringing programmatic native to all channels and devices, plista allows advertisers to sync their native campaigns with existing display, mobile, online video, digital radio, connected TV and social media efforts. This enables much more effective cross-channel attribution as well as the ability to use native sequentially with other ads and to implement universal frequency capping. 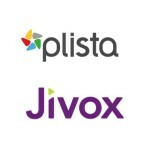 plista currently works with more than 1,200 advertisers and over 4,000 publishers. Xaxis is a global digital media platform that programmatically connects advertisers to audiences across all addressable channels. Through the expert use of proprietary data and advertising technology along with unparalleled media relationships, Xaxis delivers results for over 2,800 clients in 45 markets across North America, Europe, Asia Pacific, Latin America and the Middle East. Advertisers working with Xaxis achieve exceptionally high return on advertising spend through the company’s proprietary media products, as well as through its specialist companies, Light Reaction, Bannerconnect, plista and ActionX. For more information, visit www.xaxis.com.